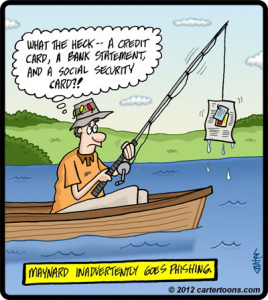 “Phishing” is a form of internet piracy and one of the fastest growing types of fraud. It typically involves the use of a bogus e-mail message or pop-up window, along with a company’s name, graphics, or logo, to deceive recipients into disclosing personal and financial information, such as a password or social security number. Often, victims of phishing attacks are asked to follow links in emails that redirect them to phony websites, some of which mimic the look and feel of a legitimate website. Fraudsters are increasingly utilizing sophisticated internet piracy techniques, in addition to more traditional methods such as phishing, to steal funds and/or personal financial information. These techniques generally involve the use of malware, or malicious software programs, installed on a customer’s local computer often without that customer’s knowledge. Keyloggers are malware that record keystrokes and can be used to steal information such as logon IDs and passwords. Some malware allow fraudsters to insert themselves between a customer and a financial institution and to hijack their online session. These sophisticated attacks can lead to improper transfers of funds from a customer’s account. The First Bank of Greenwich provides enhanced authentication procedures for certain high-risk commercial banking activities. Nevertheless, commercial banking customers are advised to conduct periodic, internal risk assessments relative to the online banking system at The First Bank of Greenwich. Never respond to an unsolicited e-mail asking for personal or financial information or provide personal or financial information in response to an unsolicited request. Never follow links in unsolicited e-mails. 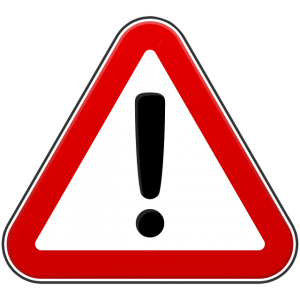 Never provide personal or financial information after being redirected to a new website. Make sure anti-virus or anti-malware software is installed and up to date on any computer used in online banking and any computer that may store or transfer personal or financial information. Monitor your account regularly for any suspicious or potentially fraudulent activity. When in doubt, contact The First Bank of Greenwich to confirm the legitimacy of any communication. Immediately contact The First Bank of Greenwich. If you believe your personal or financial information has been compromised, contact the three major consumer credit reporting agencies – Experian, Equifax and TransUnion – and request that the agencies place a fraud alert on your account. Carefully monitor account activity and review account statements for suspicious items after the attack. Report the incident to the Federal Trade Commission (FTC) at 1-877-382-4357 and with the FBI’s Internet Crime Complaint Center. Consider contacting your local police department to file a criminal report. The First Bank of Greenwich Bank customers as well as several other Connecticut Banks are currently experiencing a telephone phishing scam. Calls are being placed to consumers from people claiming to be bank employees asking for personal information.